Phased Retirement Becoming the New Norm? Is Phased Retirement Becoming the New Norm? Despite the initial interest in joining the workforce that comes with a new college degree and what seems like endless possibility, it all has to come to an end eventually. As decades of work pass, many people come to look forward to retirement, relishing in the idea of enough free time to travel, volunteer, and take up new hobbies. Historically, retirement has been a single event in which a traditional job is abandoned and a new period begins, but today, many people are easing into retirement slowly, reducing hours and time commitments while adapting into a new lifestyle. This transition, known as phased retirement, is growing in popularity across the world, providing a way to test the waters of retirement. 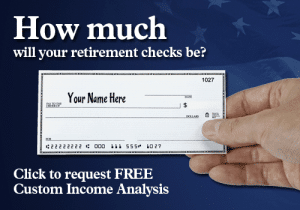 For many, retirement is a highly anticipated time. After three or four decades of going to work faithfully for forty hours or more each week, a break seems well-deserved and wholly necessary. Many new retirees are initially exhilarated by the free time they have, but for some, this feeling of excitement dwindles quickly. 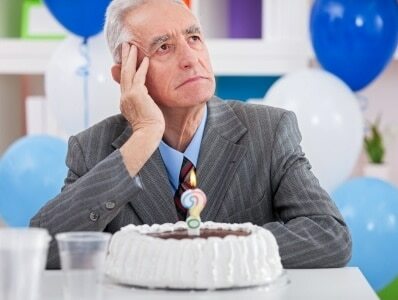 After years of feeling needed and full of purpose, new retirees often find themselves feeling listless, useless, and unmotivated. Some people even fall into a depression of sorts after equating a career with fulfillment for so long. Those with active social lives, a currently relaxed schedule, and time-consuming hobbies are more likely to adapt with ease, but a traditional retirement isn’t a good fit for everyone. Instead of quitting employment cold turkey, phased retirement offers an alternative approach to leaving the workforce. In a phased retirement plan, employees start the process gently and slowly, easing into the idea of leaving a long career. 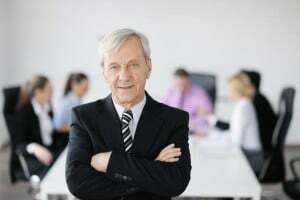 How a phased retirement is handled depends largely on the nature of one’s employer and general day-to-day tasks, but always involves some sort of departure from a normal workday. For some people, this may mean moving into a consulting role rather than full time employment, reducing the number of days worked per week, or switching to a half-day schedule. In addition to a reduced schedule, some employees may be able to begin drawing on company retirement benefits during this time in order to make up for the loss of income that comes with fewer hours or responsibilities. In some industries, employees can even maintain benefits with a schedule of at least 20 hours, providing continued access to comprehensive insurance coverage without needing Medicare. Phased retirement is a new concept, but has proved to be very successful for those who aren’t ready to say a complete goodbye. Employees are able to maintain benefits while taking advantage of a better work life balance and paving the way for a complete retirement down the road. Instead of an abrupt change of pace, individuals can adjust slowly to the idea of retirement without making a full commitment so quickly. In addition, a phased retirement perpetuates income, extending the amount of time before it’s necessary to tap into retirement savings or turn on retirement income sources (like an annuity or social security). With more free time, new retirees can develop hobbies, do some traveling, and plan for a future while still maintaining the positive feelings a fulfilling job can provide. Despite its benefits, however, phased retirement isn’t a perfect system. Some workplaces are not receptive to this idea, forcing employees into an all or nothing situation. Others may not permit employees to maintain a salary or remain on company insurance, creating a negative financial situation for potential retirees and their families. The reduction in income may also force employees to begin drawing on Social Security too early, reducing the benefits available later in life when they are needed more. Retirement is an exciting new frontier, but should also be approached precisely and carefully. 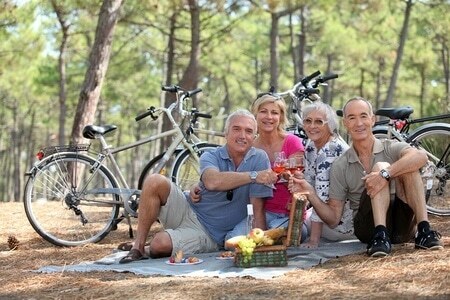 Phased retirement allows individuals to make a slower, more natural transition, enjoying what retirement has to offer while still earning money and living a more familiar lifestyle. While still a new concept, phased retirement offers many advantages, offering a new alternative to those unsure about saying goodbye to a hard-won career. With unprecedented benefits and a strong success rate in companies that are willing to consider a tiered approach to exiting the workforce, it’s likely that phased retirement is a trend that will only continue to grow.